Sofia Mayor Boiko Borissov said that the Bulgarian capital will have a new waste treatment plant within four years - "if all deadlines are met to the letter". Borissov, who arrived in Brussels on Thursday, added that his meetings with European Commission officials had resulted in a 131 million euros' worth of funding promise aimed at addressing Sofia's waste problems, BTA reports. Borissov said he had been assured that sanctions will not be imposed on Bulgaria after the re-opening of Sofia's old landfill at Souhodol. The Mayor said the Commission was satisfied with Sofia's and the Bulgarian Environment Ministry's work to handle the waste crisis. He further noted that the Commission had endorsed the launch of competitive bidding procedures for the construction of the various installations that would contribute to the waste treatment plant. This would mean that both City Hall and the Ministry can go ahead immediately with their respective projects. Waste volume reduction facilities will be among the first to be built, and this will make it possible to use the landfill for a longer period. The Instrument for Structural Policies for Pre-Accession (ISPA) programme and the Kremikovtzi issue were also discussed. The "lack of interest, understanding or control" of successive governments, both in funding and environmental issues as far as Kremikovtzi is concerned, is likely to lead to severe sanctions and even the eventual closure of the steel works, Borissov told reporters. "It is the Commission that will have the final say on Kremikovtzi," Borissov said, adding that he "regrets the Prime Minister's decision to yet again take the slippery road of populism" by sending the plant's workers to protest in front of his offices. "It is true that when the Government is absent everyone will come to City Hall [to complain], but in this case the responsibility rests with the State," Borissov further commented. As informal leader of Bulgaria's top rated party, GERB, Borissov demonstrated his concern for the country's nuclear power policy, which he had discussed with EU Energy Commissioner Andris Pielbags, European Parliament Vice President and former Energy Commission Chairman Alejo Vidal-Quadras and MEP Geoffrey van Orden. 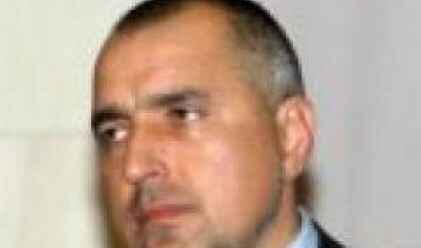 Borissov said that Bulgaria needs to adopt a "delicate approach" to its nuclear power policy. He argued that most of the larger countries will likely change theirs during the next two or two-and-a-half years, and Bulgaria will have to be prepared for that moment.